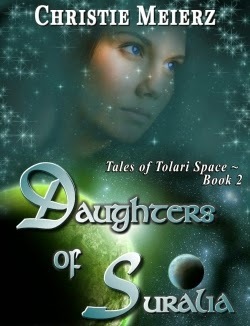 I read the post here on diversity in SFR, and it started me thinking about the universe I created in my Tales of Tolari Space series, The Marann (winner of a 2013 PRISM award) and Daughters of Suralia. For those who haven’t read them, these two novels take place 24 light-years away on the lightly-populated Beta Hydri IV, known as Tolar to its humanoid inhabitants, who look like the indigenous peoples of the Great Plains of North America. Five hundred years in the future, after 6,000 years of relative isolation, their culture is entirely alien to anything on Earth. The racial issues we worry about today aren’t even on their radar, but it’s certainly true that any author should do sufficient research before tackling interracial romance, even so far in the future on a planet far, far away. Race as it shows up in science fiction is usually about different cultures and ways of doing things. In my universe, I start with two key points of difference: my Tolari are empaths who can sense the feelings of others, and they’re a race of single parents. Those two factors drive the romance as well as the plot. It ended up turning the world upside down. Often enough, you read a SFR novel and you’ve got alien-looking beings who act like humans. Changing what I did gave me beings who look human and act alien. This perturbed a number of readers, who wanted my male Tolari protagonist to act like a human alpha male—and he didn’t. Interestingly, when it came to certain aspects of his behavior, my readers tended to split along a definite line: those coming from SF/SFR liked it; those coming from more traditional romance, didn’t. All of this is about worldbuilding, of course. Someone once said, “You take something and change it and see what happens.” That’s the essence of speculative fiction worldbuilding, and it was fun to do when I stayed on Tolar. I soon realized I would have to branch out into human space, and that started to require a lot of real work. A future book in the Tales of Tolari Space is set on a world colonized by India, where I speculate not just on what the culture will be like, but what would happen on a world where Indians are a global majority. While I can’t travel to India, I’m fortunate to live in a large city with enough of an Indian population to possess two temples and a number of other cultural resources. Local Indians tell me what to read of what’s available, to give me a feel for and background information on their culture. I can’t eat their food, but I can at least get the smells. I’m a fairly new author, but my readers responded well to worldbuilding based on a strong research approach that showed respect for diversity. If you’re looking for more good science fiction worldbuilding with romance or strong romantic elements, you can’t go wrong with the Liaden Universe™ of Sharon Lee and Steve Miller (and the first book, Agent of Change, is free in ebook format!). Most of their novels have strong romantic elements, if they aren’t outright romances. If you want more romance in your science fiction, try Robin D. Owens’ HeartMate series, the first of which won a RITA award in 2002. Enjoy! Handsome—and deadly—the Sural has ruled his province and led his planet far longer than he can admit to his daughter's human tutor. He hides much more from the space-faring races of the Trade Alliance than he is willing to reveal. 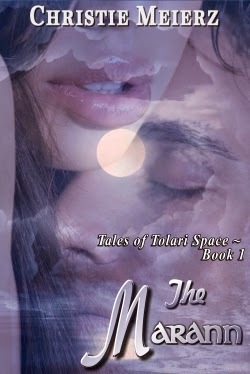 What he doesn't want Central Command to know, he has to conceal from Marianne, but Marianne is concealing her own secrets from him—and as an empath, he knows it. The Marann is a sweet romance. Award-winning author Christie Meierz writes space opera and science fiction romance set in an empathic civilization. 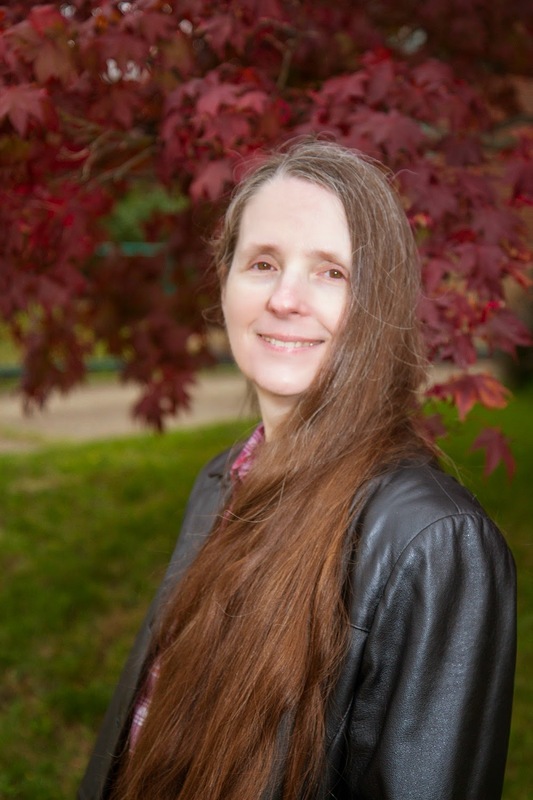 Her published works include her PRISM award-winning novel, The Marann, its sequel Daughters of Suralia, both now available from Sky Warrior Books, and two prequel short stories published in Into Tolari Space ~ The First Contact Stories. Christie now lives in Pittsburgh with her mathematician husband and an assortment of stuffies. When she’s not writing, she writes about writing on her blog, Meierz Musings, and Facebook, where she welcomes comments and friend requests.